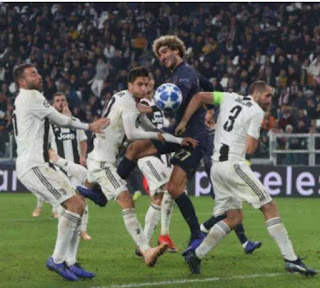 Jose Mourinho has Marouane Fellaini as he is the crucial factor in Manchester United’s comeback win over Juventus last night in the Champions League. 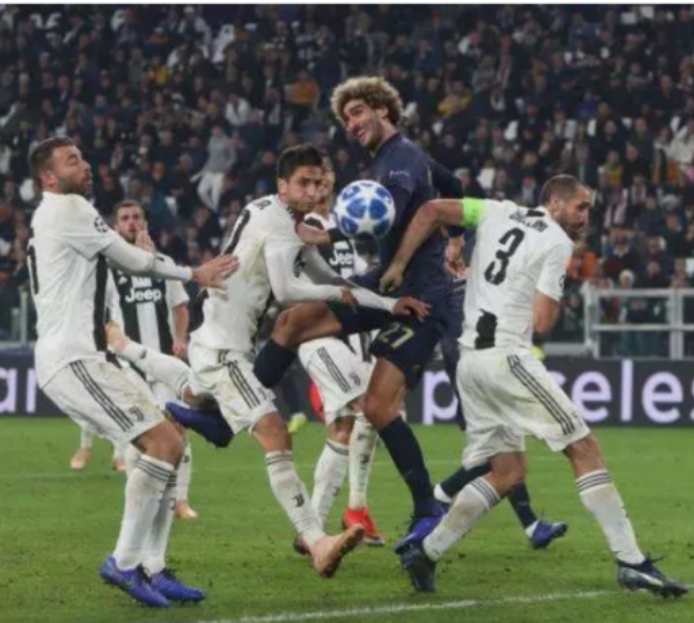 Juventus gave up a 1nil lead when Juan Mata struck a superb free-kick in the 86th minute, before Alex Sandro accidentally scored an own with a minute of normal time left. Sandro’s own goal came after Ashley Young’s cross caused chaos at Juventus’ back post, with Fellaini making his presence known in the box. Fellaini was brought on for the final ten minutes and Mourinho hailed the midfielder as United’s gamechanger. He also added ‘Fellaini changes the game, most often at home. We didn’t have him in the first leg, Juventus introduced (Andrea) Barzagli to control us, but we immediately went direct and got the goals. Mourinho was confronted by Leonardo Bonucci for taunting the home fans. This means Juventus will have to wait to qualify for the knockout stages, while United cut the gap between them and the Italians to two points in Group H.